The University of Texas at Austin removes the statues of three Confederate-era figures from a main area on campus, saying they had become symbols of white supremacy and that they were taken down overnight to avoid confrontations. The University of Texas at Austin removed the statues of three Confederate-era figures from a main area on campus on Monday, saying they had become symbols of white supremacy and that they were taken down overnight to avoid confrontations. Violence broke out in Charlottesville, Va., on Aug. 12 when white nationalists protesting the planned removal of a statue of Confederate military leader Robert E. Lee clashed with anti-racism demonstrators. One woman was killed when a suspected white nationalist drove his car into a crowd. U.S. President Donald Trump's reaction to the events has drawn widespread anger from across the political spectrum. Trump did not immediately condemn white nationalists and said there were "very fine people" on both sides, prompting several chief executives to quit his business councils in protest. "Last week, the horrific displays of hatred at the University of Virginia and in Charlottesville shocked and saddened the nation," University of Texas at Austin president Greg Fenves said in a statement. 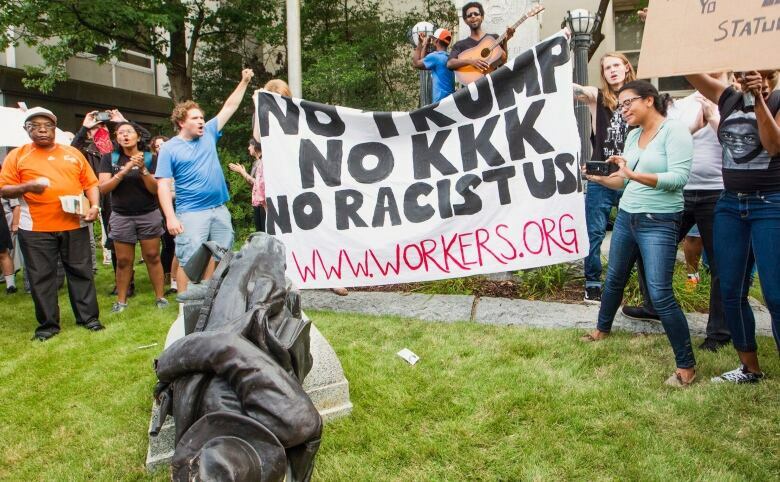 "These events make it clear, now more than ever, that Confederate monuments have become symbols of modern white supremacy and neo-Nazism." Fenves announced the removal of the statues shortly before midnight on Sunday. By about 3 a.m. local time the next day, they had all been taken down, said Cindy Posey, director of campus safety communications. It was done at night as a safety measure to avoid confrontations, she said. A growing number of U.S. political leaders are calling for the removal of statues honouring the Confederacy, saying they promote racism. Supporters of keeping the statues in place contend they are a reminder of southern heritage and the country's history. The statues of three Confederate figures and a former governor removed from the university's main mall were "erected during the period of Jim Crow laws and segregation" and "represent the subjugation of African Americans," the university president said. The statues include depictions of Lee, who led the pro-slavery Confederacy's army, of Confederate General Albert Sidney Johnston and of Confederate Postmaster General John Reagan. Those three will be moved to the school's Briscoe Centre for American History, where they will be accessible for scholarly study, Fenves said. 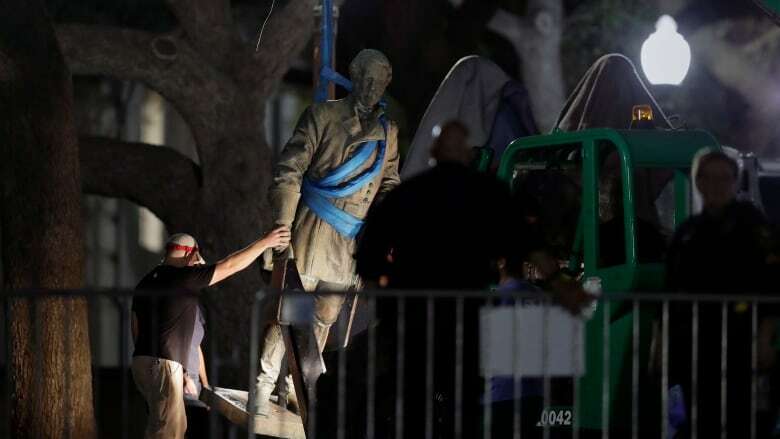 Workers also removed a statue of former Governor James Stephen Hogg, who led Texas from 1891 to 1895, years after the Civil War ended in 1865. It will be considered for re-installation at another university site, Fenves said. Several cities have targeted Confederate symbols in response to the violence in Charlottesville. They include Baltimore, Maryland, which removed four monuments to the Confederacy in a pre-dawn operation last week, and Birmingham, Alabama, where the mayor vowed to seek the removal of a Confederate monument in his city. On Saturday, Duke University removed a statue of Lee from the entrance of a chapel on the Durham, North Carolina, campus.